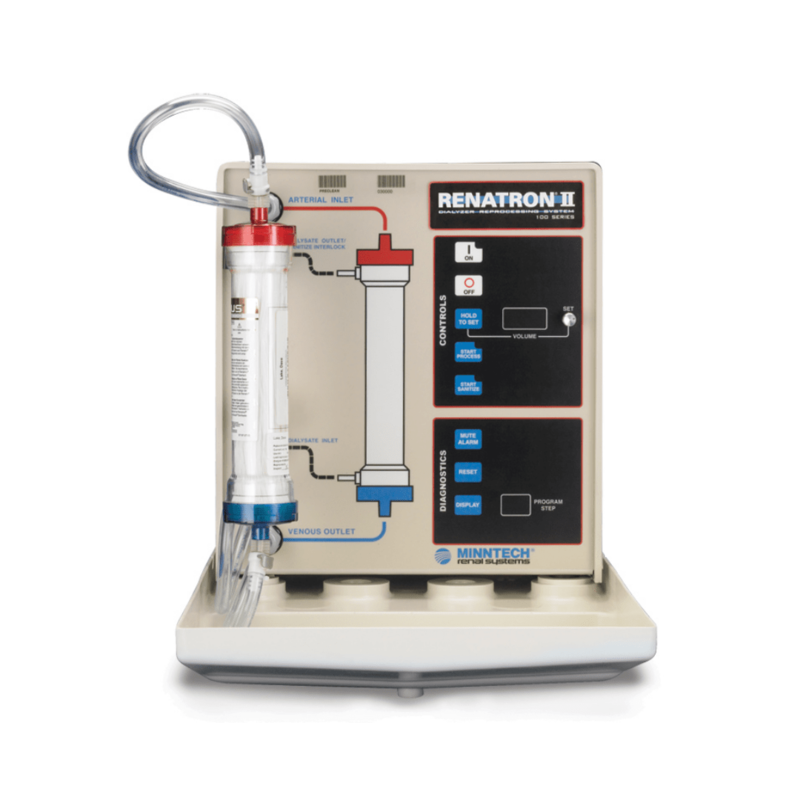 The Renatron II 100 Series is an automated system for rinsing, testing, pumping the chemical for sterilization into the artificial kidney filter and use the Renalog RM software to automatically select the filter volume and filter rinsing program after the filter is scanned bar code. 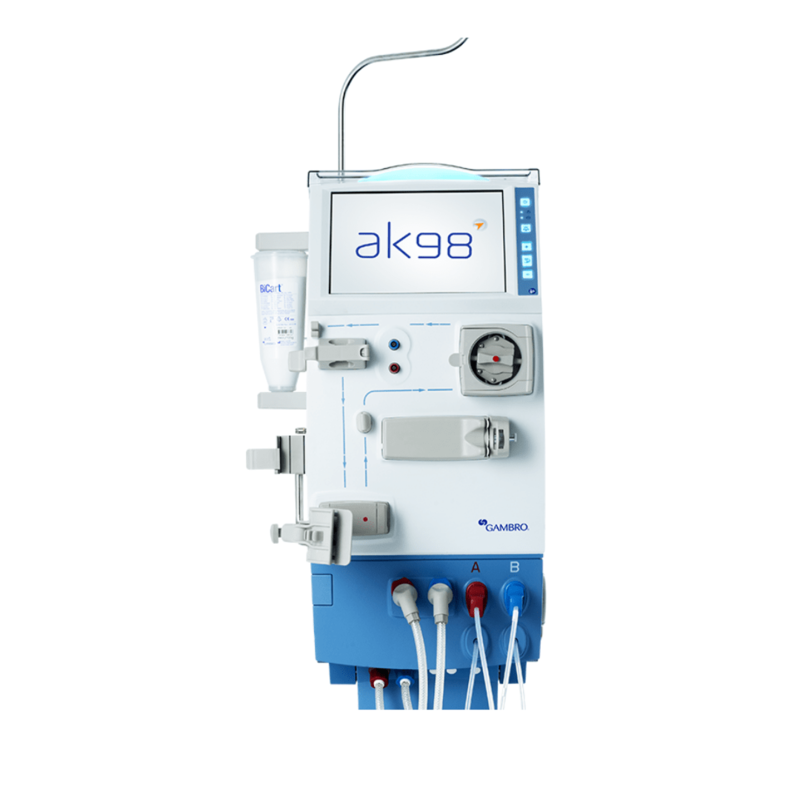 After rinsing and cleaning the dialyzers, the machine compares the filling volume of the blood filter with volume selected by the user. If the volume test is unsatisfactory, the machine will automatically stop functioning and activate alarms. The displaying VOLUME shows the result of the blood compartment volume test or blood volume reference of the installed blood compartment test. The showing the PROGRAM STEP indicates the sequence of the washing cycle and washing mode. 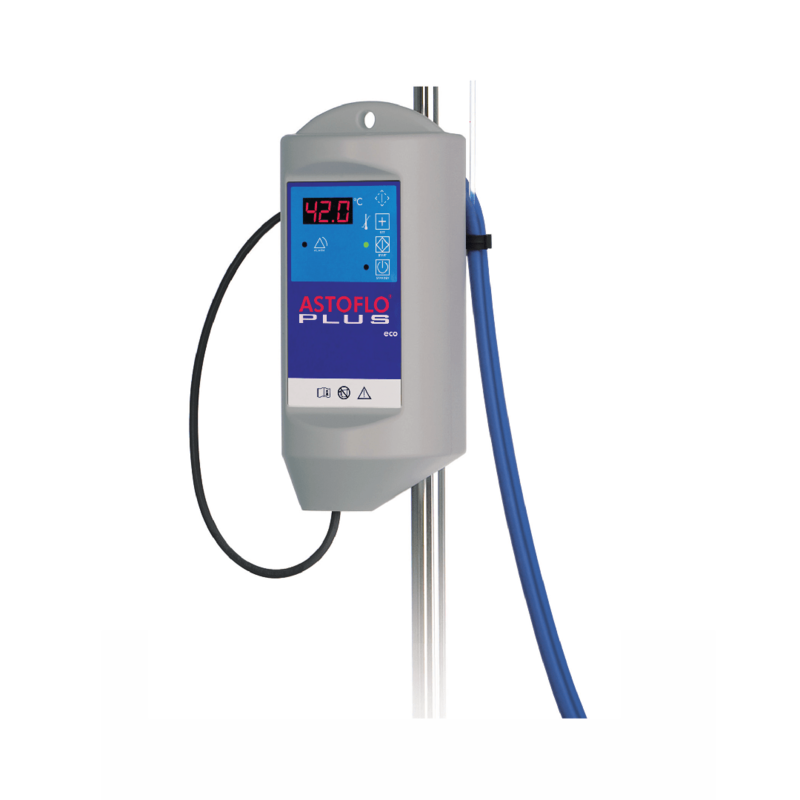 The machine has a Calibrated Volume Cell to calibrate the volume of the machine daily, ensuring accurate measurements of volume. 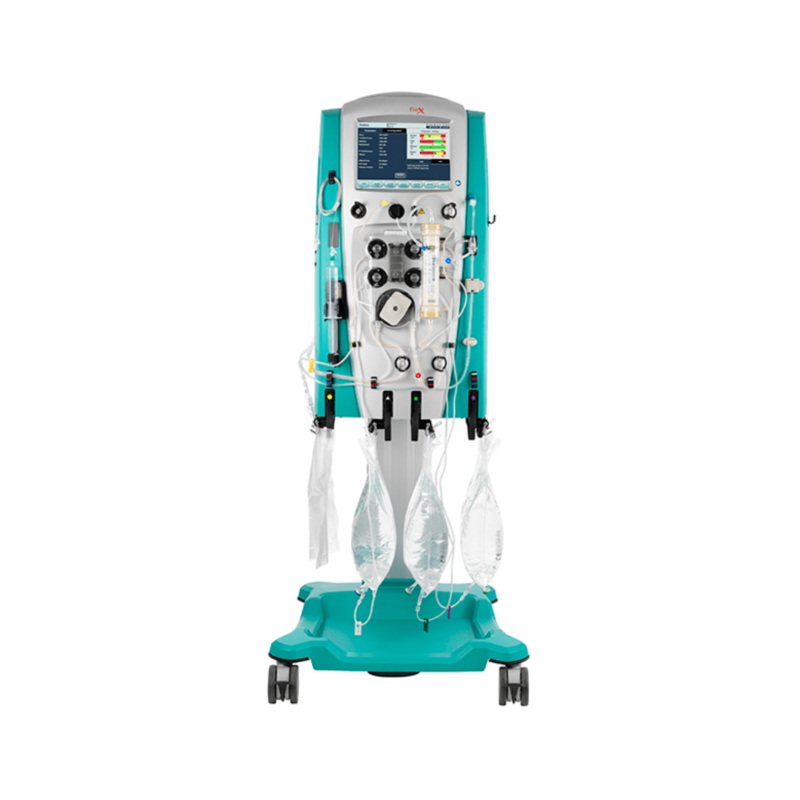 The machine uses pressure to check for leaks in both the blood compartment and fluid compartment. If the pressure leak test is unsatisfactory, the machine will stop and alert. 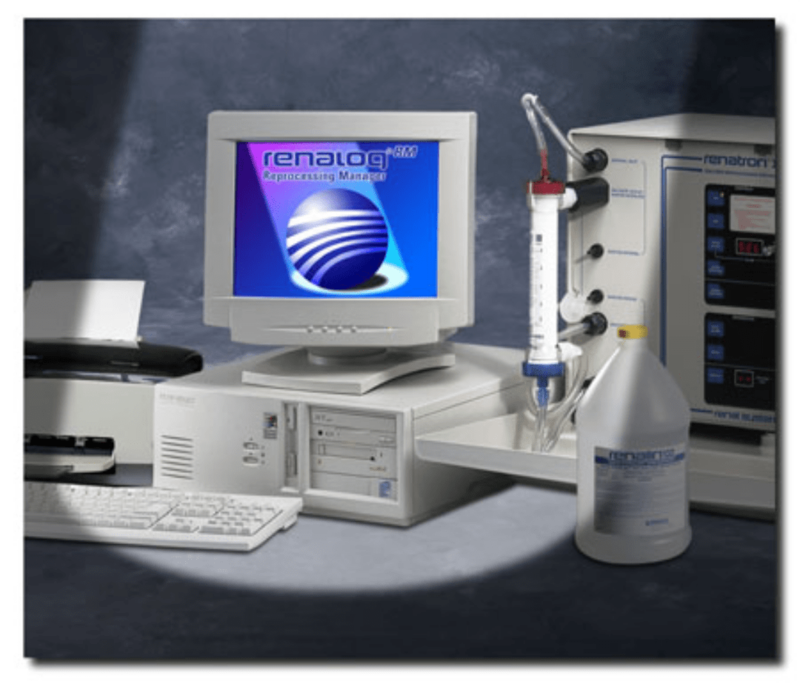 The machine Displays "ADD CHEMICAL" when not enough Renalin, "VOLUME FAIL" if the remaining volume of blood filter is smaller than the standard volume installed by the user, "PRESSURE FAIL" when detecting the broken filter. 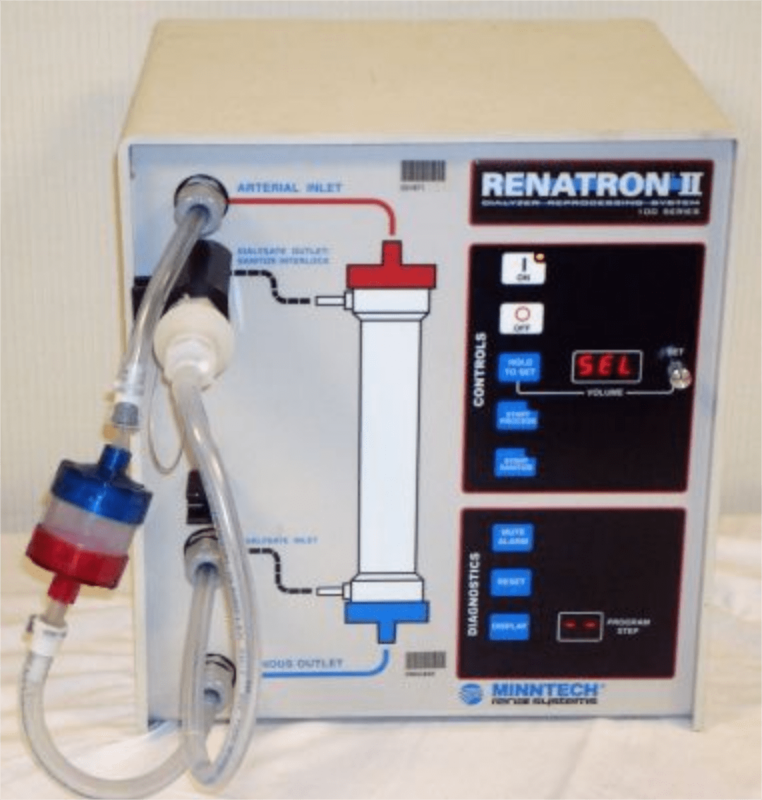 The machine uses a sterile 100 mL sterile resin (can be packed in 10 liter can) contains hydrogen peroxide, peracetic acid and acetic acid. 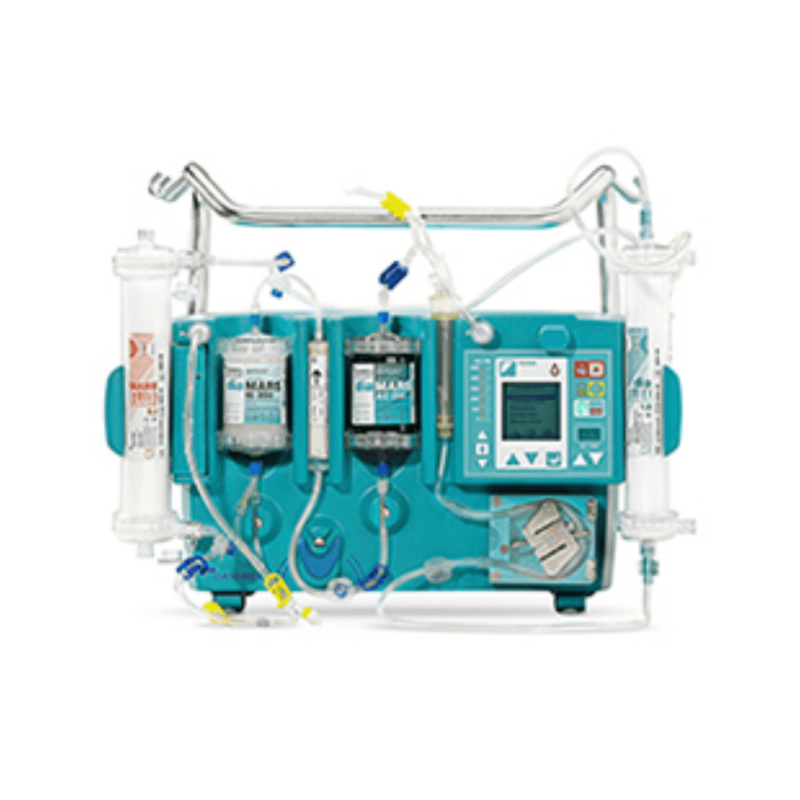 After sterilization, the breakdown products are oxygen, water and acetic acid (sour vinegar) safe for the environment and operators. The company has Perassay 500 test strips to check if the concentrations of chemicals for sterilization are effective and Renalin Residual test strips to check whether chemicals for sterilization have completely disappeared before the filter was reused for the patient.